DON’T be put off by the title, which makes it sound like a failed French farce. ”My Beautiful Laundrette,” written by Hanif Kureishi and directed by Stephen Frears, is the first real sleeper of the year. The film, which opens today at the Embassy 72d Street Theater, is a rude, wise, vivid social comedy about Pakistani immigrants in London, , particularly about the initially naive, university-age Omar (Gordon Warnecke) and Omar’s extended family of wheeler-dealers and unassimilated layabouts. 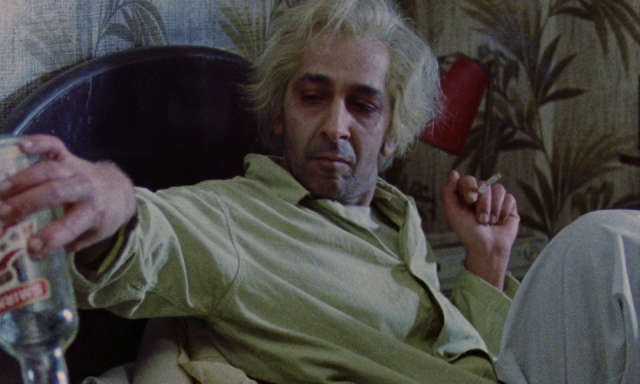 ”Take my advice,” says Omar’s Uncle Nasser (Saeed Jaffrey) early in the film, ”there’s money in muck.” Omar heeds his uncle and enlists the aid of Johnny (Daniel Day Lewis), a Cockney mate from his school days. Together, Omar and Johnny set out to revitalize ”Churchill’s,” a failing laundromat, owned by Nasser, in a seedy section of London where enthusiastic, hustling immigrants are at odds with alienated, disenfranchised natives. Like the film itself, the relationship between Omar and Johnny is not quite as simple as it initially seems. Both men are outsiders. In the years since he and Omar were first friends, Johnny has drifted from one jobless limbo to the next. When Omar meets him again, Johnny is affecting a punk haircut and, with his pals, bashing Pakistanis, mostly because there’s nothing better to do. It gradually becomes clear why Johnny has agreed to give up his street life to join Omar, who, being a Pakistani, isn’t easily explained to his Cockney pals. Johnny is bored with his own aimlessness. He never quite admits it, but he’d like to get ahead in the world. Further, and most important, he’s in love with Omar, something that Omar responds to and, like the hustler he’s becoming, uses to his own advantage. It’s also about Uncle Nasser’s most proud possession – his English mistress, Rachel (Shirley Anne Field), a tarty, good-hearted woman who genuinely loves Nasser; Nasser’s furiously jealous Pakistani wife (Charu Bala Choksi), who finally resorts to witchcraft (which works), and Tania (Rita Wolf), Nasser’s pretty daughter who feels neither Pakistani nor English. 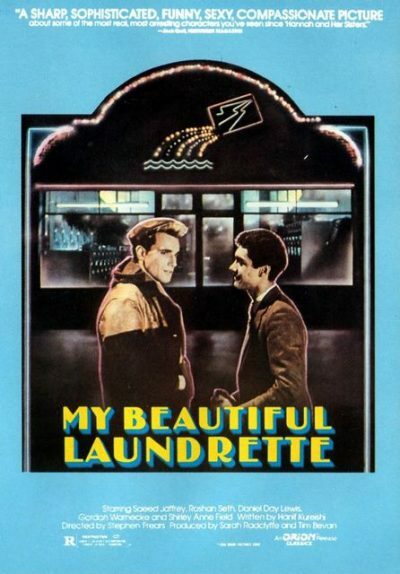 Had ”My Beautiful Laundrette” been written by anybody but the London-born Mr. Kureishi, whose father was Pakistani and mother was English, the film would possibly seem racist. He’s merciless to his Pakistani characters, especially to Omar. However, he’s merciless in the way of someone who creates characters so complex they can’t be easily categorized as good or bad. The film’s most sympathetic as well as most stubbornly faithful characters are English. Johnny is a man of almost unbelievable patience and reserves of decency – qualities that Mr. Lewis realizes in a performance that has both extraordinary technical flash and emotional substance. It’s Mr. Kureishi’s comic paradox that his upper-class Pakistani immigrants have become the exploiters in a land that once exploited them. Mr. Frears made his theatrical film debut as a director 15 years ago with Albert Finney’s ”Gumshoe,” a cheerful sendup of private-eye movies. Since then he has made only ”The Hit,” which was not a hit, apparently preferring to work in television, for which ”My Beautiful Laundrette” was originally intended. 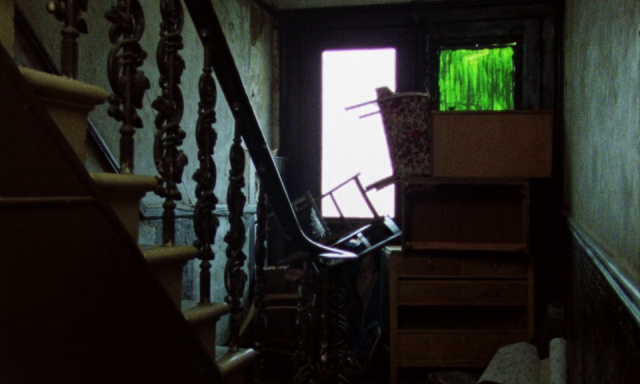 That ”My Beautiful Laundrette” could have been conceived as a film for the small screen describes – better than anything else I can think of – the vast difference between American and English television. ”My Beautiful Laundrette” has the broad scope and the easy pace that one associates with our best theatrical films. It puts its own truth above the fear of possibly offending someone. Without showing off, it has courage as well as artistry. There are moments when key narrative points are obscure, and when characters behave in a way that has been dictated not by plausibility but the effect it will create. Toward the end, it threatens to fly apart. It doesn’t. ”My Beautiful Laundrette” is a fascinating, eccentric, very personal movie.